HubSpot has announced general availability of Service Hub, an all-in-one customer service system that aims to change the way growing businesses approach and deliver customer support. Powered by HubSpot’s free CRM, Service Hub aims to provide companies with a complete record of a customer’s journey. When combined with Marketing Hub and Sales Hub, Service Hub integrates customer data with lead and deal data, giving marketing, service and sales teams access to a more complete record of a customer’s interactions with the company, allowing them to collaborate together to resolve customer issues. Service Hub features include Conversations, a universal inbox that unites messages across chat, email, and other channels; Tickets, a CRM object to track, record, and organise customer needs; Automation, platform-level automation that uses workflows to route Tickets and create a help desk; and Knowledge Base, a tool that helps create help articles from templates that automatically index on Google search and a reporting dashboard. In addition, the platform offers Customer Feedback with guided survey creation, feedback collection, and audience insights analytics, as well as a service dashboard (Reporting) featuring reports on how teams are handling tickets, how customers are sharing feedback, and the efficacy of the knowledge base. SAP SE released SAP Customer Data Cloud solutions from Gigya, a solution based on a consent-based data model. The solution aims to help businesses nurture relationships with customers by providing them more transparency and control over the use of their personal data. The release of SAP Customer Data Cloud solutions, which includes the SAP Customer Identity, SAP Customer Consent and SAP Customer Profile offerings, also comes as consumers demand more transparency and control over how their data is used. SAP Customer Data Cloud aims to connect the front office to the back office, and help organisations increase customer retention and boost brand loyalty by providing a transparent, flexible, and secure digital experience. SAP Customer Data Cloud helps to address regional consumer privacy laws, including GDPR, by centrally capturing, managing and synchronising preferences and consent in accordance to regulations across the digital SAP technology stack throughout the customer lifecycle. Tealium has enhanced features of its privacy and consent management tools within the Tealium Universal Data Hub. The Privacy and Consent Manager aims to assist organisations to manage user preferences, affirmative consent handling and granular privacy controls, while giving end users control over their data. The new enhancements include multi-language support, customisable content and styling, global settings, and the capability to log consent changes as required by the General Data Protection Regulation (GDPR), which comes into effect on 25 May. It also includes Consent Request Manager and Consent Preferences Manager. MuleSoft has taken the wrappers off Titan, the latest release of Anypoint Platform, which features capabilities to deploy, secure and monitor composite applications across cloud environments. Anypoint Platform uses API-led connectivity, allowing organisations to connect apps, data and devices. With the Titan release, IT has access to a multi-cloud container service for Mule runtimes, a security model for distributed architectures, and a monitoring solution for end-to-end visibility. Anypoint Platform also aims to allow a broader set of users to build their own applications and drive new levels of innovation. Titan highlights include: Mule 4 and enhanced Studio, Anypoint Runtime Fabric, Anypoint Security, managing compliance, and Anypoint Monitoring. Insite Logic, the Geelong-based marketing tech scale-up, is raising $6 million in funding from investors in order to fuel greater expansion of the product and operations in Australia. The raise is being managed by PKF Melbourne. Part of the funds raised will also be used to launch three new products. Founded in June 2015, InSite Logic provides marketing insights products aimed primarily at the real estate market. The intention is to accelerate launch of the core InSite Land & Apartments product in NSW, Queensland, SA and WA, and to launch three new products: InSite Real Estate, Big Data, and CRM. InSite Logic is a Web-based program that monitors customer interaction within a website, then provides detail on the individual, their activity, and their intention and propensity to buy. InSite claims to provide data on unique visitors that assists to convert to qualified leads. It can also measure incoming traffic sources, manage eDM campaigning and tracking as well as provide ROI analytics to assist with monitoring marketing budgets. Oracle has debuted new product integrations with the Oracle Marketing Cloud. The new integrations between Oracle Eloqua and 6sense, Demandbase, LookBookHQ and Mintigo aim to deliver data-driven insights to empower sales teams to identify high-potential buyers, drive engagement and close deals faster. The product integration enables Oracle Eloqua customers to leverage AI-powered in-market predictions from the 6sense Demand Orchestration Platform for account-based marketing and achieve a unified view of account activity that includes the prospect’s anonymous website intent, competitor research, and other relevant need-based intent. A new integration between Oracle Eloqua and Demandbase, meanwhile, is designed to help sales teams access the insights needed to accelerate and close deals. The integration between Oracle Eloqua and LookBookHQ gives sales teams actionable insight into buyer education, based on how leads and accounts are engaging with content, and the integration between Oracle Eloqua Profiler and Mintigo enables sales teams to learn, discover and engage their prospective buyers in personalised ways at scale. The new product integrates Mintigo’s AI powered prospecting application, Sales Coach 360, with Oracle Eloqua Sales Tools. Medallia and Facebook have struck a strategic partnership to connect Medallia Experience Cloud with Workplace by Facebook, enabling companies of all types and sizes to share, collaborate, and act on customer feedback. This integration aims to ensure employees are able to engage with customers to optimise experiences, act quickly to resolve any issues, understand systemic problems, and make improvements leveraging the best of collaboration capabilities of Workplace by Facebook, from their Medallia Experience Cloud platform. Medallia plans to expand this integration with Facebook to include new features and functionality for both customers and employees, including capabilities to collect employee feedback on the customer experience and more powerful reporting and analytical insights that can be distributed in real-time to various internal groups and team members. Medallia isn’t the only vendor partnering up on Workplace. Hootsuite has also joined forces on Workplace to integrate its employee advocacy platform, Amplify, allowing users to share content to their social connections directly from Workplace. And earlier this month, business software player, Freshworks, announced an integration between its IT service desk product, Freshservice, and Workplace to ensure any user can report an IT issue from within Facebook’s platform. Optimove has acquired the DynamicMail business from PowerInbox for an undisclosed sum. The acquisition of DynamicMail aims to strengthen Optimove's existing email capabilities and provide advanced email solutions. PowerInbox developed DynamicMail to automatically transform static email HTMLs into interactive content. These capabilities will enhance Optimove's existing email product, Optimail. Current and new users of Optimove will have access to these features. 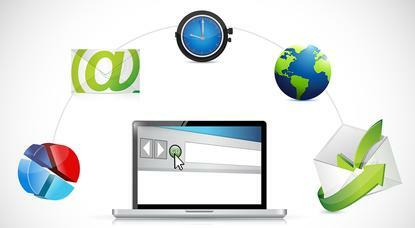 The acquired dynamic email innovations include real-time database reach and personalised optimisation. PowerInbox's email components also enable additional highly engaging content, such as video, countdown timers, store locators, and carousels.